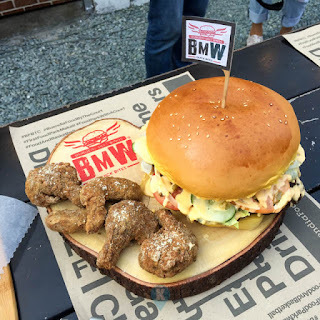 I had my share of burgers lately and this one was different. The name BMW implies Burgers Meet Wings. 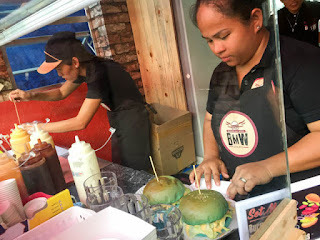 Located inside Buendia Food by the Court*, their burgers are huge and colorful and most of all, the patties are juicylicious. 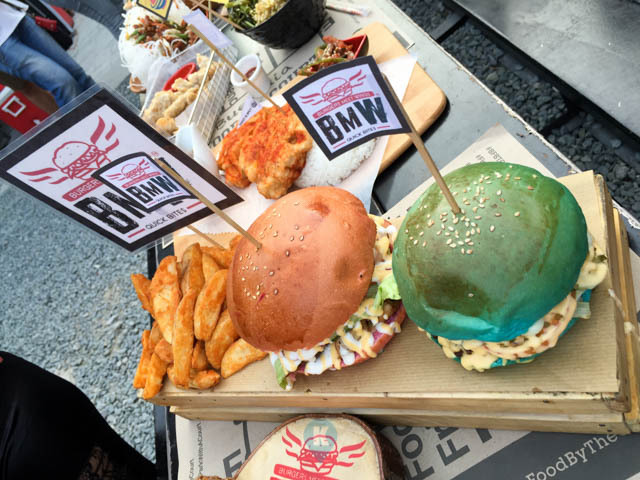 I suggest bring lots of friends to taste their burgers as you need to share these with someone. 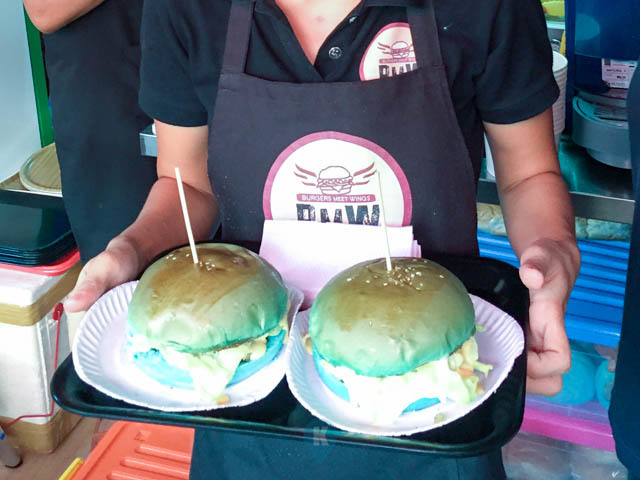 You can choose to customize your burger by choosing first your bun, be it original, colored blue, green, yellow and pink, what? pink? Really now. Different colors. Next is choosing from four kinds of cheese. Next is choosing your patty, either grilled chicken or beef. Then choosing among 8 sauces and various choices of vegetables. Its may sound complicated but it isn't when hunger strikes or another quick way of ordering is simply getting their menu regulars. 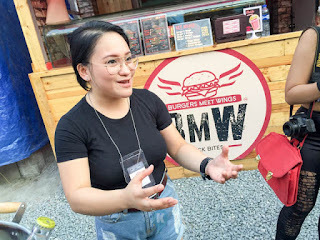 And don't forget their wonderful wings and wedges and their rice toppings. 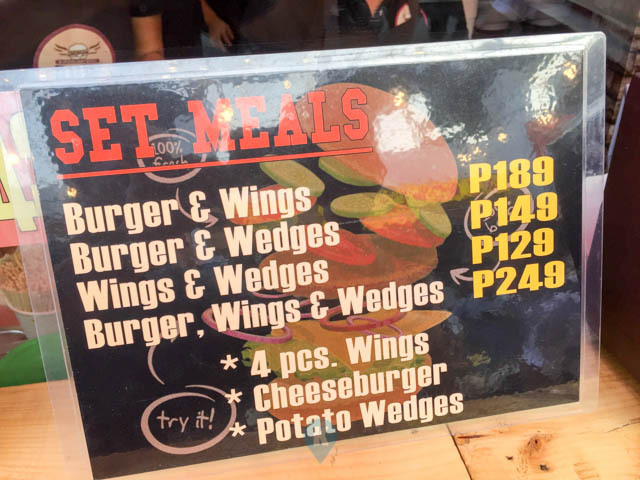 They have also set meals that you can order, your burgers + 4 wings will cost you only Php189. The full set meal of burgers + 4 wings + wedges is available for Php249. 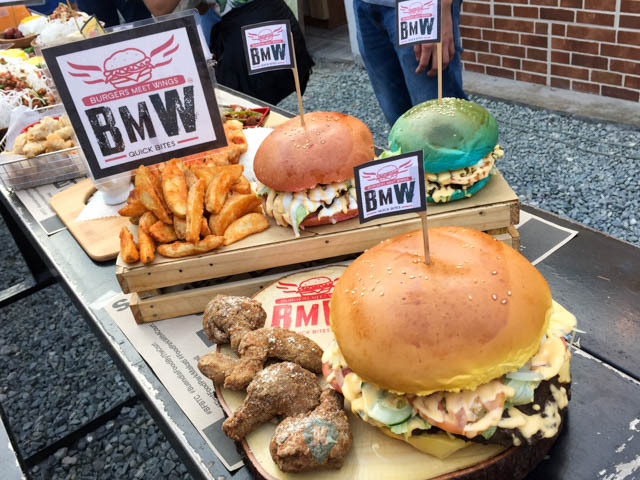 Should you get a feel of burgers, try BMW. Meet the burgers + wings with open arms. 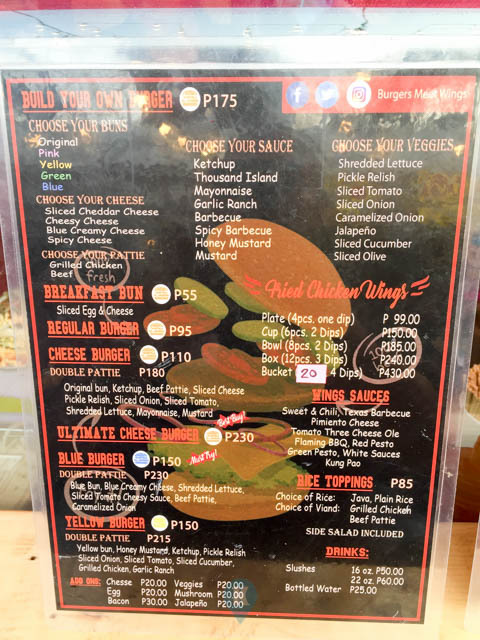 *Buendia Food by the Court is located at Buendia corner Bautista Streets in Makati City.